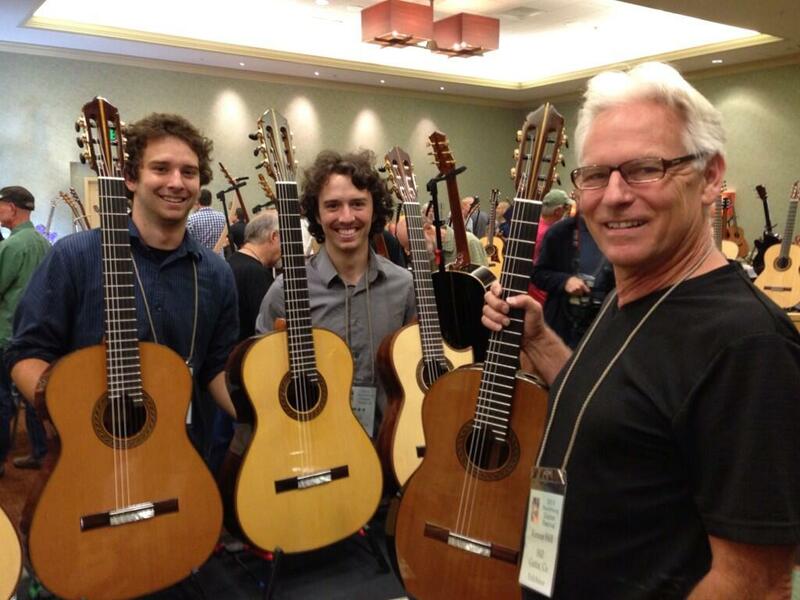 Hill Guitar Company wants to thank Luthiers Mercantile International Inc for putting on the 2013 Healdsburg Guitar Festival! The Healdsburg Guitar Festival has become the world's premier exposition and sale of custom acoustic guitars, and this year was a great turn out! In addition to the many local U.S. luthiers, luthiers from Canada, New Zealand, China, Malaysia, Finland, Scotland, Germany, Austria, South Africa, Japan, Spain, and Sweden were represented this year. It was the perfect opportunity for Kenny Hill to reunite with old friends and meet many new ones. Sons Quillan and Simon Hill help Kenny display some Hill guitars! "This year's festival was composed of almost all steel string builders; it is interesting to notice fewer and fewer nylon string builders every year." Chris Herrod, the director of the Healdsburg Guitar Festival, said "the level of craftsmanship and innovation seen on this year’s instruments was simply beyond compare. In what other industry do you see ‘competitors’ sharing such a profound sense of community and camaraderie?" At the festival Kenny showed off one of his signature guitars and explained in detail what makes it sound so great! Overall it was a great success and we look forward to 2015's festival! Hill Guitar Company amongst Luthiers from Around the World! Healdsburg Guitar Festival is this weekend! Join us this weekend, August 9th through 11th at the Hyatt Vineyard Creek Hotel in Santa Rosa, California. Meet the Hill Guitar luthiers and admire, order or purchase a custom made guitar. Take a Players Workshop to improve your playing and composing skills. 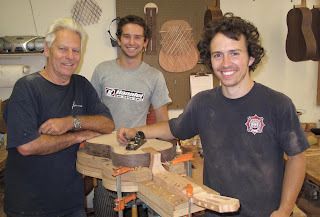 In 1995, the Healdsburg Guitar Festival provided a venue for guitar enthusiasts to tryout guitars in the presence of the builder, and also hosted workshops taught by professional performers, who, in turn, demonstrated the musical qualities of the show's custom guitars in a concert setting. The sense of festive community that was established by this interconnected circle continues to this day, and the party we call The Healdsburg Guitar Festival has served a major role in validating the art of modern lutherie ever since.